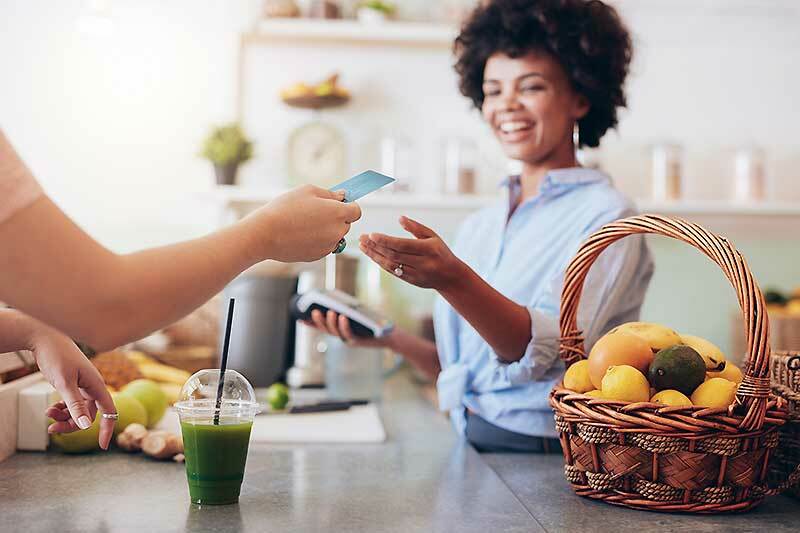 Small businesses often need more flexibility in how they process the payments that they need to make and may consider applying for credit cards. Business owners who apply for credit cards to use for their businesses should not pay for business expenses on their personal cards, however. This can blur the lines between what is a personal expense and what is a business expense, making bookkeeping and taxes more difficult. Business owners might also want to keep a few things in mind when they are searching for the best business credit card offers. The Federal Reserve recently raised the interest rates, resulting in the average credit card interest rate to reach an all-time high of 16.96 percent. While business credit cards only account for 4 percent of all of the credit cards that are issued in the U.S., they account for $430 billion in annual spending, which is almost 17 percent of all of the purchases that are made with general purpose credit cards. If you are thinking about getting a credit card for your business, here are some things that you should consider. What is a business credit card, and how do they work? A business credit card is a card that is issued to businesses to use for valid business expenses. The cards are credit cards, which means that they extend a revolving line of credit to businesses. Business owners must apply for these cards in order to obtain them. The card issuers may check the credit of both the business and its owner. It is common for card issuers to ask for a personal guarantee from the business’s owner, which means that the owner may be on the hook if the business fails to meet its obligations to the credit card company. Businesses may use their credit cards to pay their expenses or to make purchases. If they carry balances on their cards, they may be charged high rates of interest. Finally, it is important to be careful when you use credit cards because they can be targeted by fraudsters. What can a business credit or business debit card do for your business? Business debit cards and business credit card offer streamlined purchases and better tracking of your expenses. Paying your business expenses with a business credit card can help you to clearly separate them from your personal expenses. Using a business debit or credit card for all of your business purchases can also help eliminate the need for reimbursement forms, petty cash and check writing. This can help you to save time and money while preventing fraud. If you use cards, you can make your payments on a timely basis. This can help you to build your credit over time. What makes up good business credit card offers? A good business credit card offer is one that carries a low rate of interest and no annual fee. If you are wanting a credit card for your business, you should also look at the rewards that the card offers. Business credit card offers may come with rewards that are different than consumer credit cards, but some of the rewards may be better for larger companies. Finding a card that doesn’t require a personal guarantee is also a good idea. Most business owners choose a legal entity structure that limits their potential liability. Agreeing to let a credit card company pierce the corporate veil and to access your personal finances for payment does not make the most sense. Finding a card that offers a free trial and charges no interest is the best bet. For example, Bento for Business offers business owners a 60-day free trial, and it does not charge interest on its business Visa debit cards. How do business credit card offers differ from business debit card offers? A business credit card offer will require that you and your business have qualifying credit. The company may also want you to sign a personal guarantee. Most credit cards for businesses charge interest on the balances that you have on your cards, and some may also have annual fees. Business debit card offers for your business are different than a business credit card offer. Instead of extending a revolving line of credit to you, a business prepaid debit card simply uses your own business funds. Prepaid debit cards for businesses do not require that you or your business have qualifying credit. No interest is charged on your card balances since the money is your own. Prepaid cards also allow you to choose what types of spending you want to allow and the amounts of money you want to place on the cards, giving you more control. Prepaid business cards may also help to reduce and prevent fraud. You can get rid of reimbursement requests, which are often targeted for internal thefts. Instead, you can limit the access that your employees have to your money by giving them debit cards to use to make purchases. You can restrict what types of purchases that each employee can make and set limits on how much they can spend by the day or the week. For example, you can turn the cards off when your employees are not working, and turn them back on when they return to work. A business debit card offers streamlined expense management. This is done by using cards can allow you to easily import the data into your accounting software. Automation can help to reduce errors that can happen with manual entry. You can track your expenses by the categories that you have chosen on each card. If you notice that your company is spending more money in one category than you expected and less in another, you can adjust your budget easily. Finding the best business credit card offers may take some time researching. You can look for card company ratings online and choose companies that offer the lowest interest rates and have the highest ratings by the Better Business Bureau. It may be the best idea to choose a debit card offer for your business instead of a credit card. Bento for Business offers an excellent solution for businesses. The company offers business Visa debit card solutions for companies so that their employees can make purchases without going through a long payment request and approval process. To learn more about how debit cards for businesses can help you, call 866.220.8455 or start a free 60 day trial.